Belly of the Shuttle | Just Shooting Memories! Being a fan of flight and more so, space flight, I was fascinated by my visit to the space shuttle at the Udvar-Hazy portion of the Air and Apace museum. I took several photos from the front of the space shuttle, but could not get enough of all the small details of this unique flying ship. 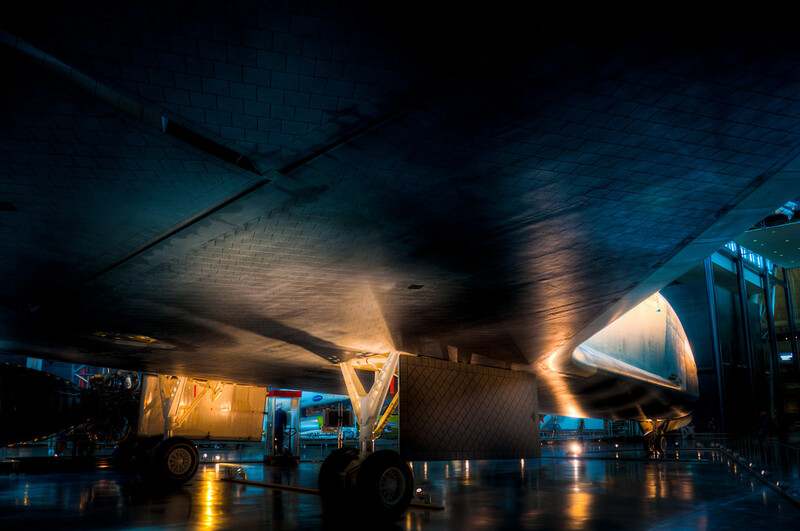 I shot this one of the ceramic composite tiles across the belly of the shuttle. It is a true tribute to human ingenuity that someone could devise this process of adding thousands of tiles to an airplane to make it safe to reenter the atmosphere.